When life gives you lemons... make something delicious! I love using lemon juice and zest in sauces for a bright and light flavor. I actually went on a little lemon/garlic/and sometimes Dijon kick for a few weeks and used the combo in several dishes. One meal I really loved was this one - Lemon Garlic Pork Medallions. 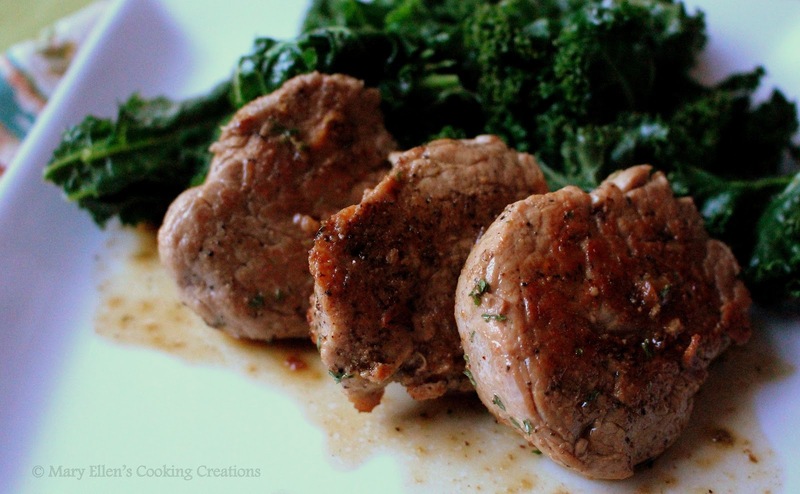 I often use pork tenderloin sliced into medallions for a quick way to enjoy this cut of meat that can take 30 minutes or more in the oven or on the grill, plus the time to pre-heat the oven/grill and then time to let the meat rest. These medallions cook quickly and rest while you are making the sauce. We all loved this dinner. And what wasn't to love? 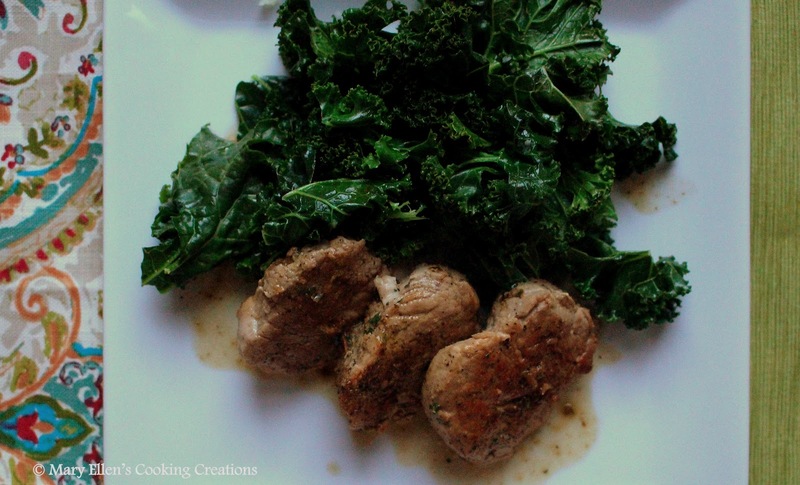 Tender meat cooked quickly, a bright and flavorful sauce, all served with some garlic roasted kale. No need for carbs here, but if you really want them, some noodles, rice, or even bread would be good in all of that sauce. Heat1 Tbsp olive oil in a large saute pan over medium-high heat. Add the pork medallions, nicely spaced, and cook 4 minutes, flip, and cook for 4 more minutes (cook a bit longer if the medallions are thicker). Remove from the pan. You may need to cook your pork in 2 batches depending on how much you have. You don't want them crowded in the pan. Add garlic and saute 2 minutes, being careful not to let it burn. Deglaze the pan with the white wine, stirring to scrape up all the brown bits. Add the chicken broth, lemon juice and lemon zest. Bring to a low simmer. Taste and adjust salt and pepper, if necessary. Optional: for a richer sauce, whisk in 2 Tbsp butter.